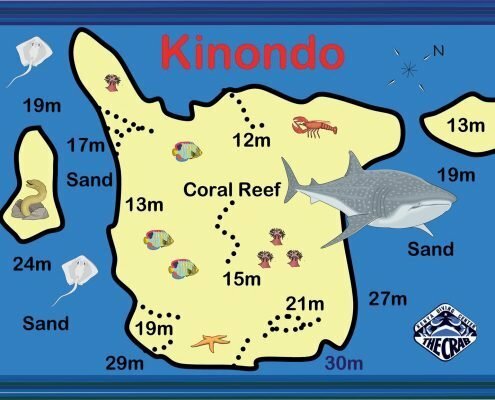 Expect to see: Red Tooth Trigger Fish,Baracuda, Groupers, Snapper, Turtles,Moray Eels, Sting Rays, Napolean Wrasse, crocodile fish, Octopus. 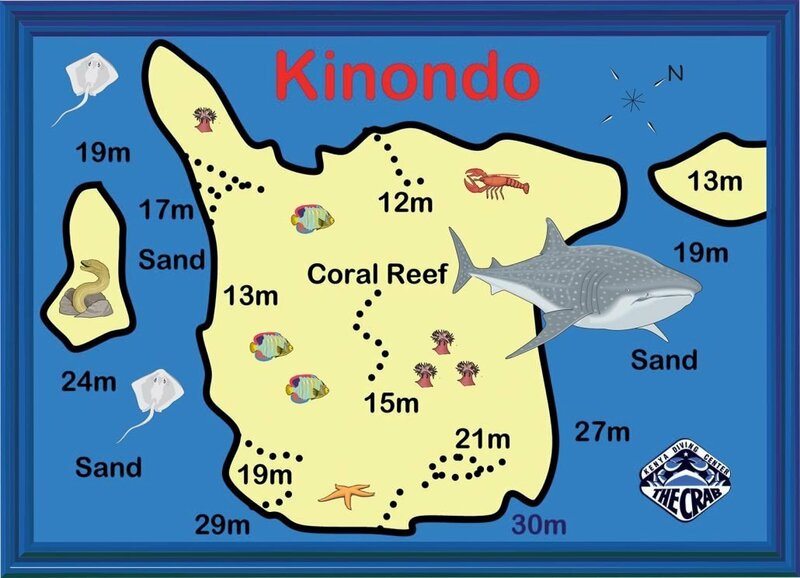 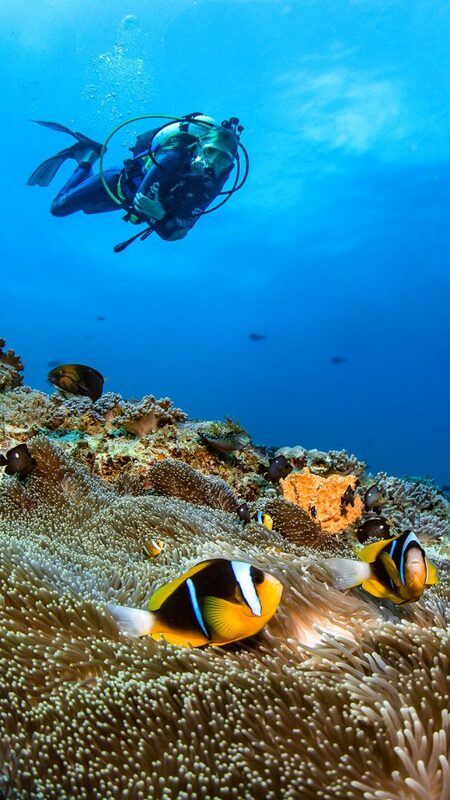 The fish population on Konondo reef is greater than on any other reef located on Kenya’s South Coast. 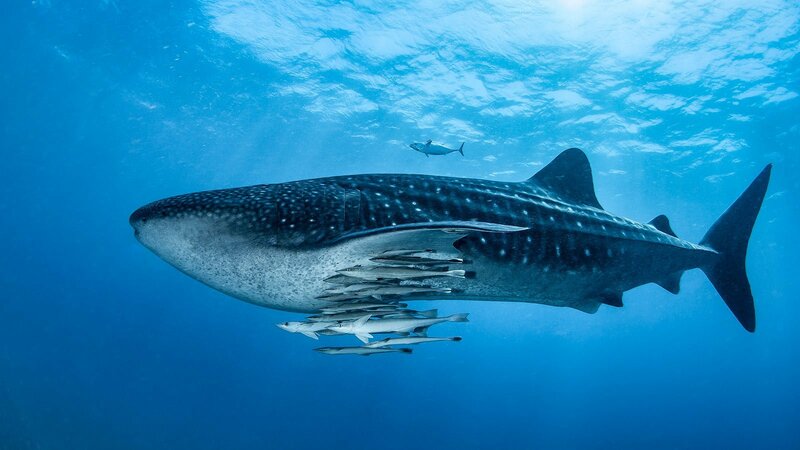 Large schools of Baracuda , shoals of yellow and blue lined Snappers , red Snappers, Trigger fish and the greatest possibility of seeing Pelagic fish. 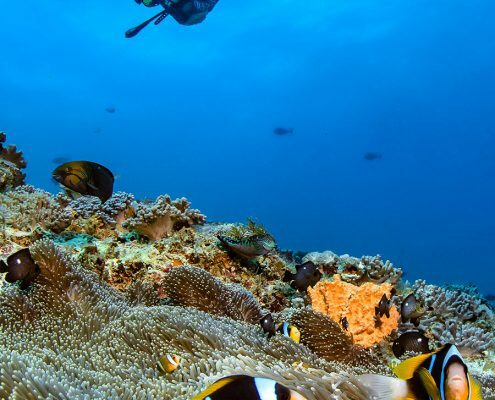 Moray eels and Lobsters also frequent this reef. 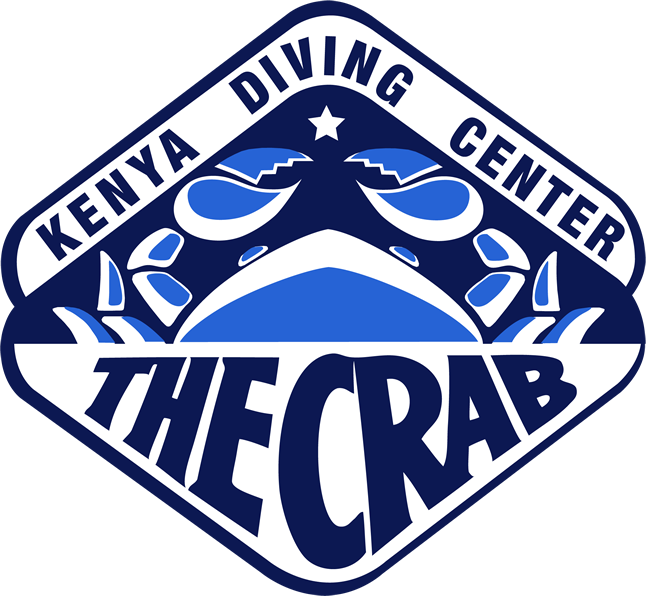 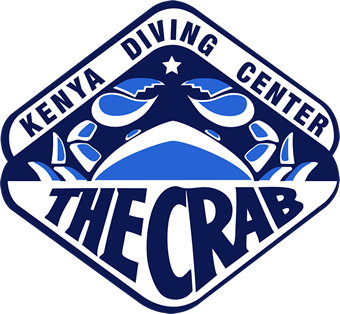 Quite simply one of Kenya’s best dives. 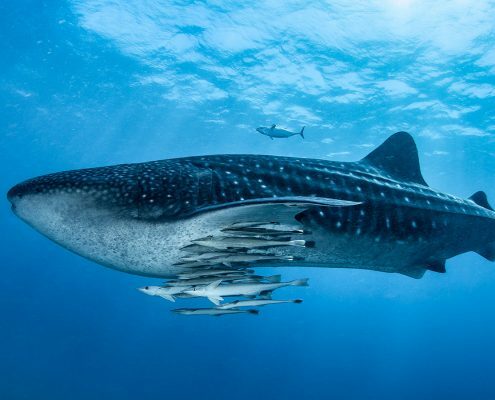 A total of 29 dive sites are within a 40 minute ride, which are often accompanied by dolphins, and from November through to February there is the chance to see the gentle giants of the Ocean – the whaleshark. 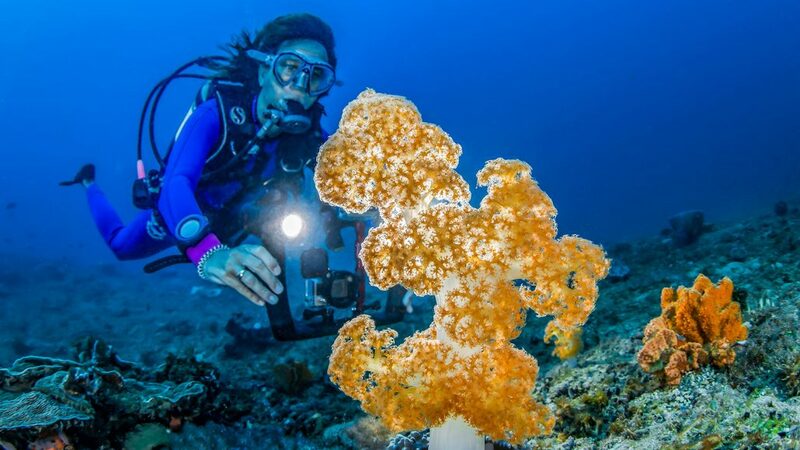 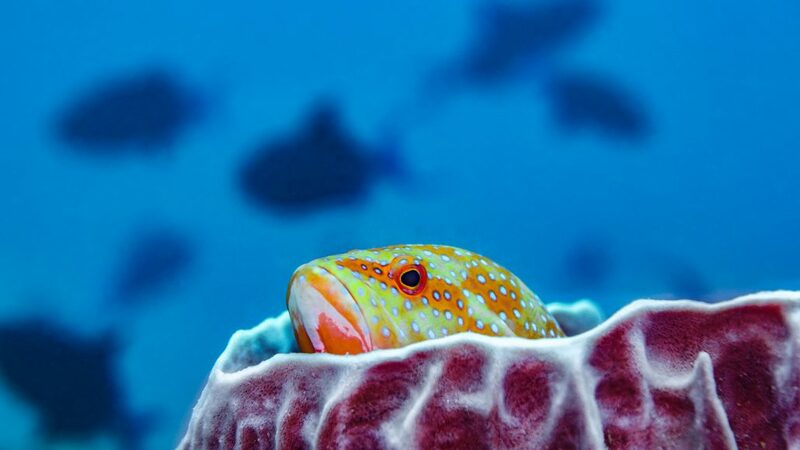 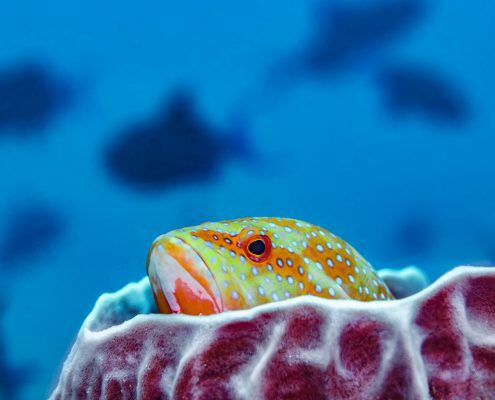 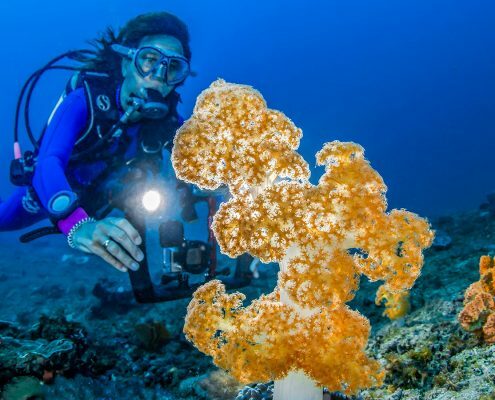 Kenya has an amazing array of fish life across its reefs, providing fantastic opportunities for underwater photographers and marine enthusiasts alike.